Bumper stickers are back and better than ever! 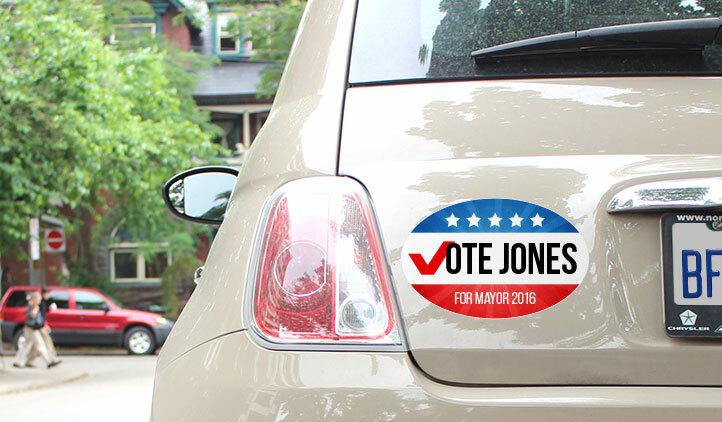 Create custom political bumper stickers to show support for your favorite candidate, world leader, country and more in any shape or size. This durable, weatherproof material will keep your message looking great. Need a full political pack? Check out our Political Campaign Bundle. Get Political! 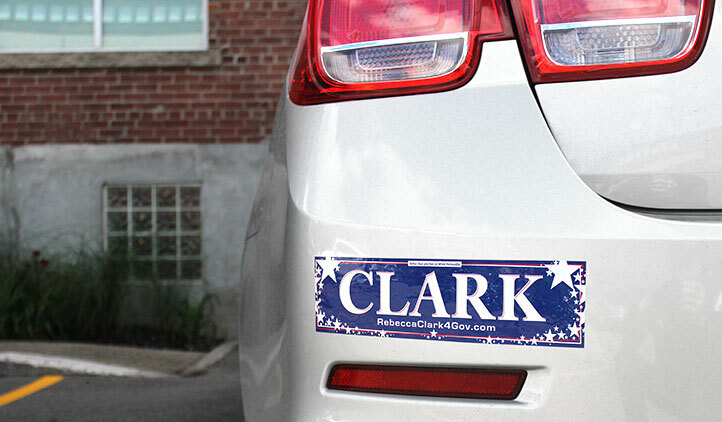 Bumper stickers are a great way to showcase your beliefs, or message to the world. They are also a great swag product to give away at events or in support of a cause, event or person. Create custom bumper stickers with your own artwork or designs through StickerYou! You can choose from a variety of material, all of which are durable and perfect for use outdoors and on vehicles. 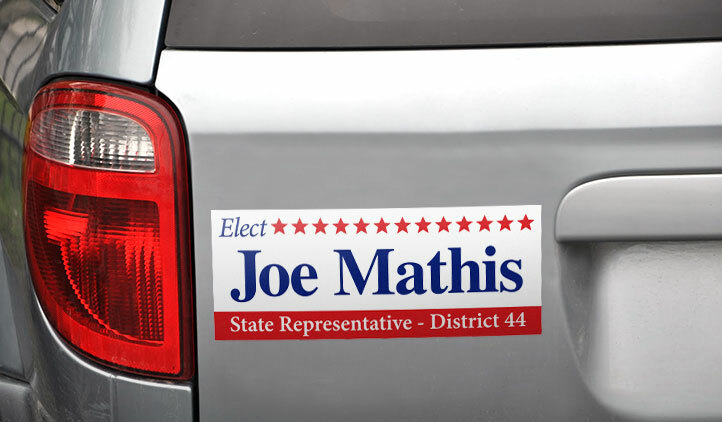 Each bumper sticker material is waterproof, UV fade resistant and won't crack or peel over time, ensuring your design stays bright and visible. 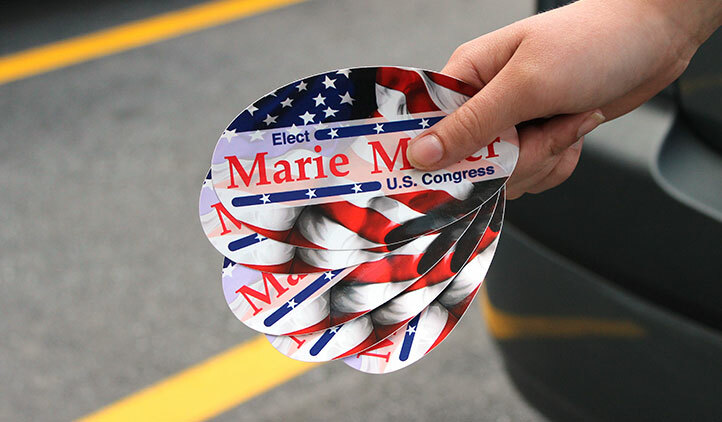 These bumper stickers can also be removed clear from vehicles without causing any mess or damaging the paint. Now available in low minimum order quantities, these stickers are the perfect swag item or promotional giveaway products. Let your fans do your advertising or promote a cause for you. Back printing is available on bumper stickers and is an excellent tool for adding coupons or additional information. If you want to make a connection with your audience and give away a swag product with a higher ROI, you need to keep reading. Then you need to check out some sticker swag.